Remove tuna from can and drain the water. In a bowl, break tuna with a fork. Then add mayonnaise, onion, parsley, salt and pepper and mix well. 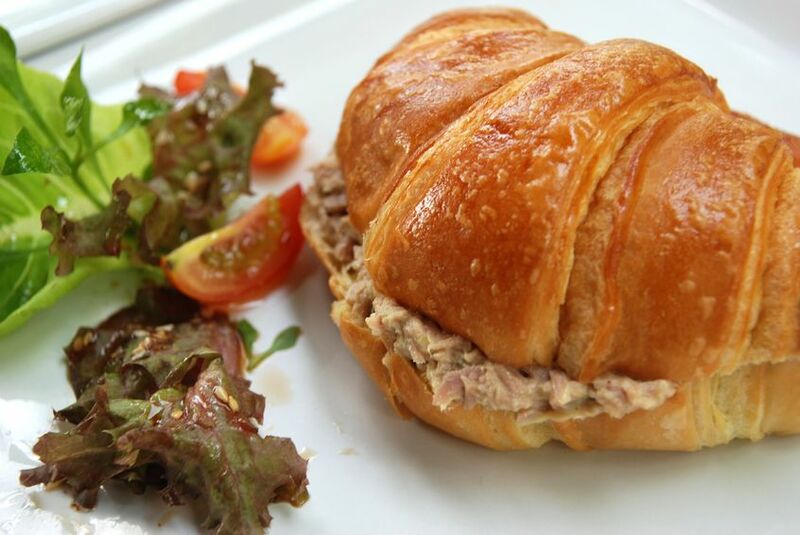 Arrange salad leaves and sliced tomato on the croissant. Then spread the tuna mixture on the it. Top it up with salad leaves and close the croissant. Then serve.